POLAND - Prayers will be held on Wednesday at 9:30 a.m. at the Higgins-Reardon Funeral Homes, Poland Chapel, followed by a Mass of Christian Burial at 10 a.m. at the Holy Family Church for Alberta R. Dietz who passed away April 7, 2019, surrounded by family at Mercy Health. Alberta was born May 11, 1935, at home in Youngstown, a daughter of the Michael G. LaBuda and Mary Josephine (Vitikos) LaBuda. Alberta is survived by her three children, Frank (Paula) Dietz; two daughters, Linda (Don) Marrie and Marla; four grandchildren, Rebecca (Anthony) DeSalvo, Steven, Eric (Atlee) Marrie, and Michael; sister Mary Ellen (LaBuda) Fink; great-grandson Patrick; and numerous nieces and nephews. Alberta was preceded in death by her husband of 58 years, Frank L. Dietz. Alberta was the first head x-ray technician at St. Elizabeth’s Hospital. She raised three children through grade school and high school and then worked for Dr. Zlotnick, before retiring as the administrative assistant for Youngstown City Schools. Alberta was highly motivated. 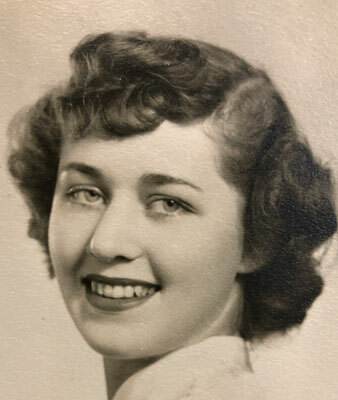 She was an accomplished seamstress, practiced health foods and juicing before it was popular, and she canned homegrown garden foods, sometimes as many as 400 jars a year. Alberta was known for her generosity, selflessness, and genuine kindness, as well as her individualized hospitality for each of her loved ones and friends. She loved her grandchildren and great-grandson more than anything else. Alberta exhibited compassion toward each and every person she encountered. She made this world a better place. Family and friends may call on Tuesday from 5 to 8 p.m. at the funeral home. Burial will take place at Poland Riverside Cemetery.